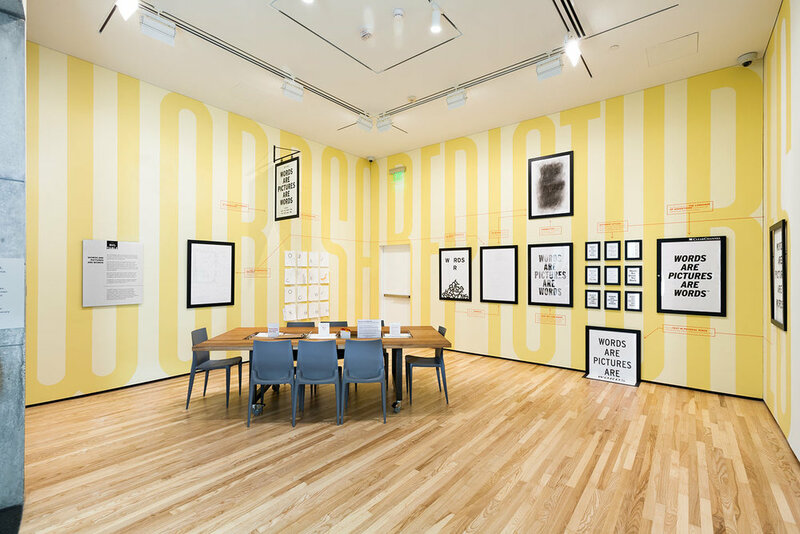 The Baltimore Museum of Art commissioned us to design the inaugural Big Table space in the museum’s remodeled Contemporary Wing. Working with the BMA’s education department and exhibition designer Maria Mortati, we created an engaging space and accompanying activities where museum-goers explore the use of text in contemporary art. Captions that illuminate each piece extend across floor-to-ceiling wall lettering, turning the space into an immersive, room-size infographic.